Although the 9th of November was somewhat overshadowed this year by the 100th anniversary of the end of the First World War (Nov 11), we still took the opportunity to remember the fall of the Berlin Wall in 1989. Students could receive some extra credit by visiting a spot where the Wall once stood and submit a picture of themselves there for our display. Here is the result! 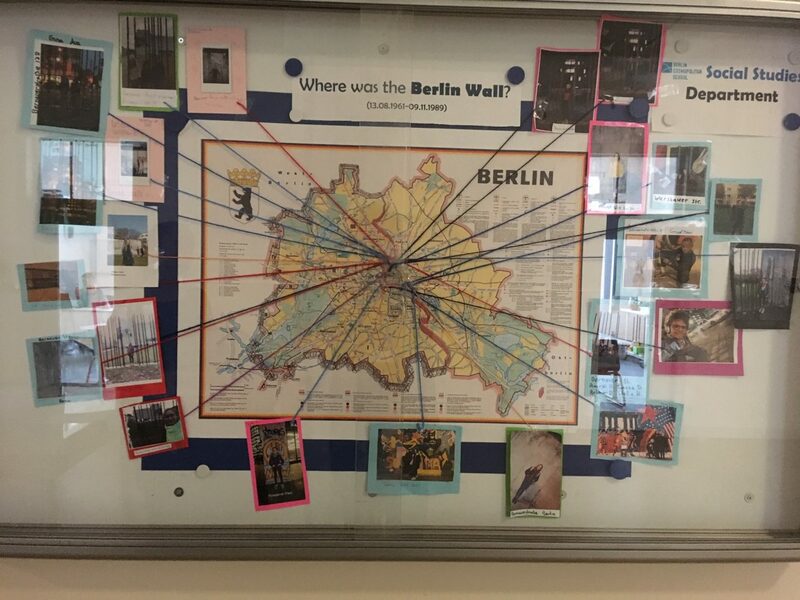 Next year, for the 30th anniversary, the secondary students will spend the day out of school around the city learning about various aspects of the Berlin Wall’s history where it happened.